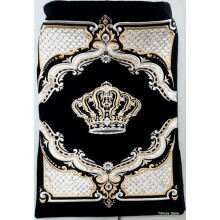 Sefer Torah Cover, hand embroidered. Sefer Torah Mantels are fashioned with open or closed backs, with or without fringes. All our Torah mantels are finished with reinforcement rings to guarantee many years of long lasting use. All our creations can be customized with Hebrew and English embroidered inscriptions. 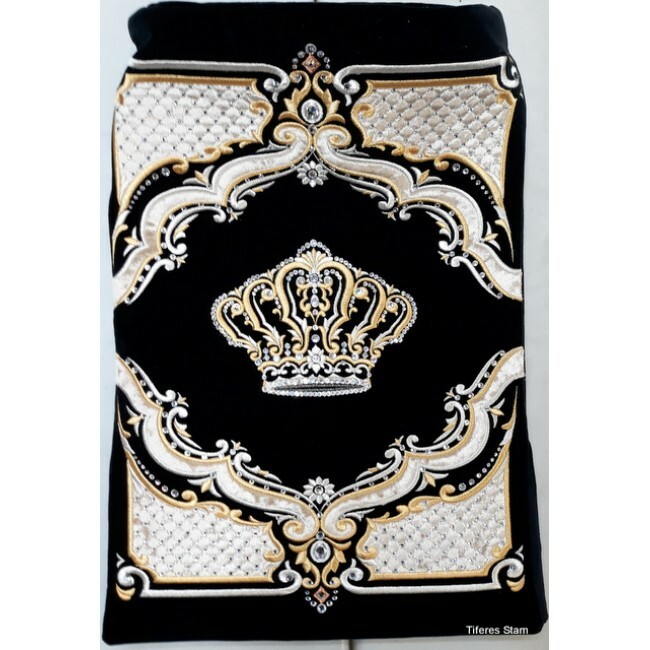 Our Collection of Sefer Torah Mantels are fashioned by the most gifted and talented craftsmen on select velvets and velours. Only the finest silk and metallic lurex threads are used for our exclusive Synagogue Embroidery. Note: To measure mantel size, measure parchment and add on 8 inches. When ordering with English inscriptions, you may enter your text in the notes section at checkout. For Hebrew inscriptions, please call or fax. Prices for inscriptions are .80 per letter and will not show during checkout.